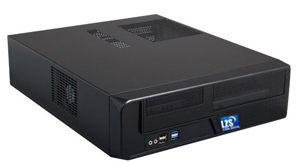 LZS-SLM1 is a slim alternative to the usual desktop system. The system is roughly 13 inches tall, 4 inches wide, and 16 or less inches deep. OS Linux Operating System installed as default. Choice of desktop environments including GNOME, KDE, and others.